Sapphire, the September birthstone, has been associated with royalty for centuries. 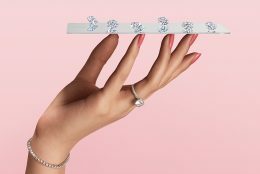 The gemstone brings to mind Princess Diana’s famous and beautiful sapphire and diamond ring, which now adorns Kate Middleton’s graceful hand (shop a more affordable ring lookalike here!). Though the most popular sapphire color is blue, sapphire stones also come in pink, green, yellow, and more. 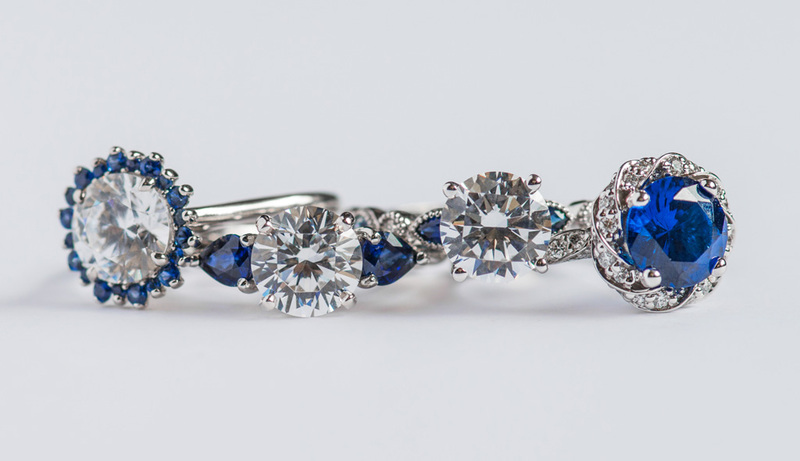 Sapphires have forever been a symbol of trust, loyalty and protection. When worn, the September birthstone is believed to protect loved ones and give its wearer clarity, health, modesty, intelligence, inner peace, and optimism. The stunning gemstone has long been a representation of sincerity and truth. Looking for ideas? 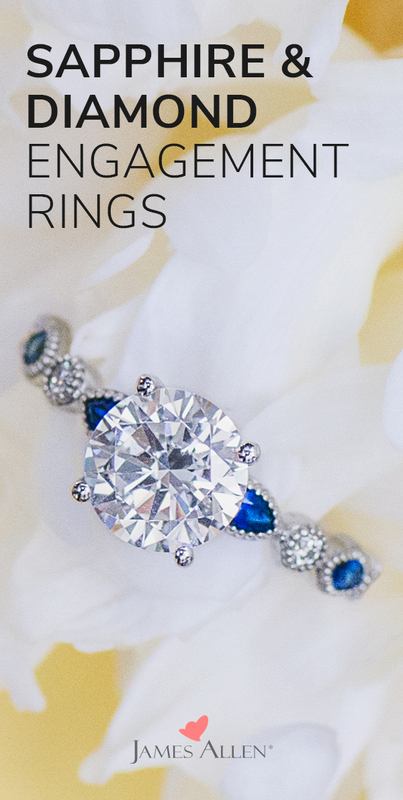 Browse these customer sapphire and diamond engagement ring designs! Walk down the aisle in pure white, with something blue. Show off your intelligence in a smart sapphire and diamond ring. Your stunning sapphire ring will be a constant reminder to stay faithful to who you are. Nothing can get you down when you’re wearing this sizzling sapphire and diamond engagement ring. Your sapphire gemstone ring will be a token of appreciation for your ability to stay in tune with others’ feelings. When you glance down at this bird of paradise engagement ring, you’ll feel at peace with yourself as you’re reminded of your deep connection to your fiancé-to-be. Take pride in your power to understand your shortcomings – it will help you become the best version of yourself. This sunburst sapphire and diamond engagement ring will remind you what’s really important in life. Which sapphire jewel is your favorite? Tell us in the comments below!